I’m going to confess to something. I like teams who play in yellow, orange, amber, in fact any colour anywhere within that range. I can’t explain why, but if I was to write a list of favourite colours then those would be right at the top, with the rest of the spectrum some distance behind. 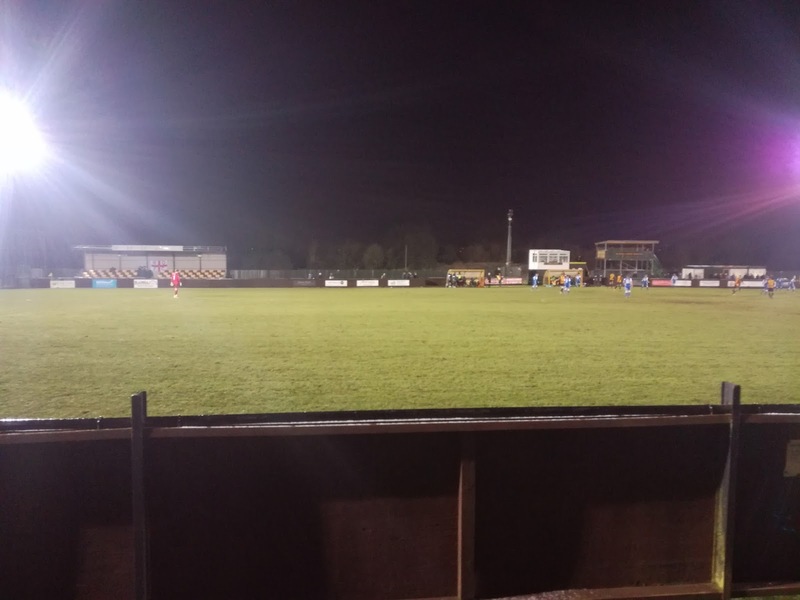 I think it stems back to the fact that when I started to watch Belper Town in my childhood they played in what was known as ‘Old Gold’, which was a kind of orangey / amber colour. Eventually that morphed into plain and simple yellow, but by then my sensory perception of the said colours had been formed. I have teams I like, Boston United, Maidstone United, Newport County, Sutton United, Carrick Rangers, Vitesse Arnhem (but not Wolves – I got thrown out of Molineux once), and they all have something in common…. I used the word ‘spectrum’ earlier, and you are probably thinking that’s quite appropriate, and I guess it is a bit of a weird one to be honest. But, my favourite colours are exactly that, and if a football team chooses to adopt them, then unless they are Wolves, then they are alright by me! 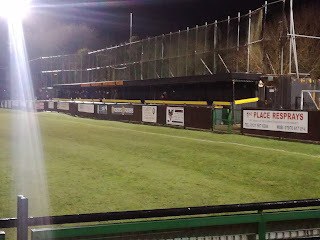 I like going to Rushall Olympic (who play in orange), once a season typically, mainly because it takes around a year to read the programme, but my first experiences of them came in 2004 when I watched them one midweek play against neighbours Chasetown in the Midland Football League. I remember a good crowd watching two of the bigger and more established names in the said division, both of whom would go on to better things. 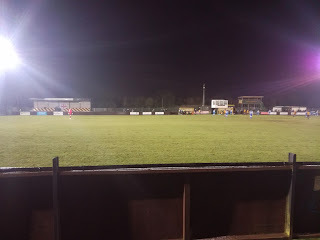 I also witnessed a couple of Rushall’s key games in their rise through the leagues, notably a Play-Off semi-final defeat to Belper Town (that was a confusing night! ), but also a Play-Off final victory over Grantham Town, which was the sort of occasion whereby everyone in the World, except from Grantham, would be gunning for a Rushall win! We all love Grantham, don’t we? Coming back to sensible discussion, aside from the beautiful colours they wear, Rushall Olympic’s story is a great example of a small(ish) club maximising their potential. Under the stewardship of John Allen, they have risen from being an average West Midlands Regional League outfit, into the Midland Alliance, before winning it in 2005. A move to the Southern League came about and within three seasons they had reached the Play Offs, but that bid was unsuccessful and they were moved laterally into the Northern Premier League. They adjusted pretty quickly, losing to Belper in their first season but then two years late after the tragedy that was Grantham’s defeat, they found themselves in the Premier Division. 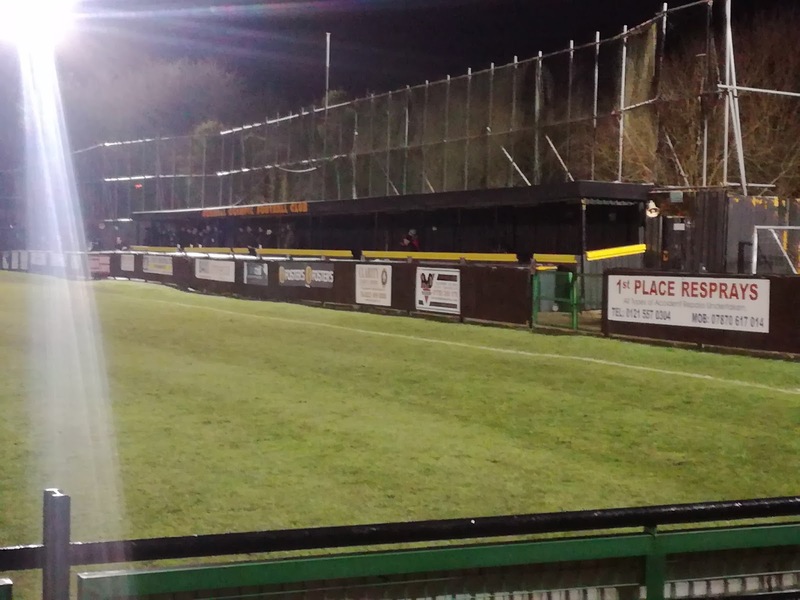 Rushall is not a big town, based on the North Eastern edge of Walsall, with a population of around 11,500, the football ground is located on the road to Aldridge (Beware Low Bridge). With the Daw End Branch Canal running down one side of the ground, and the railway line behind the goal, it sits on bit of a plateau, and what impresses me is the way that they have improved the ground as the team has progressed. 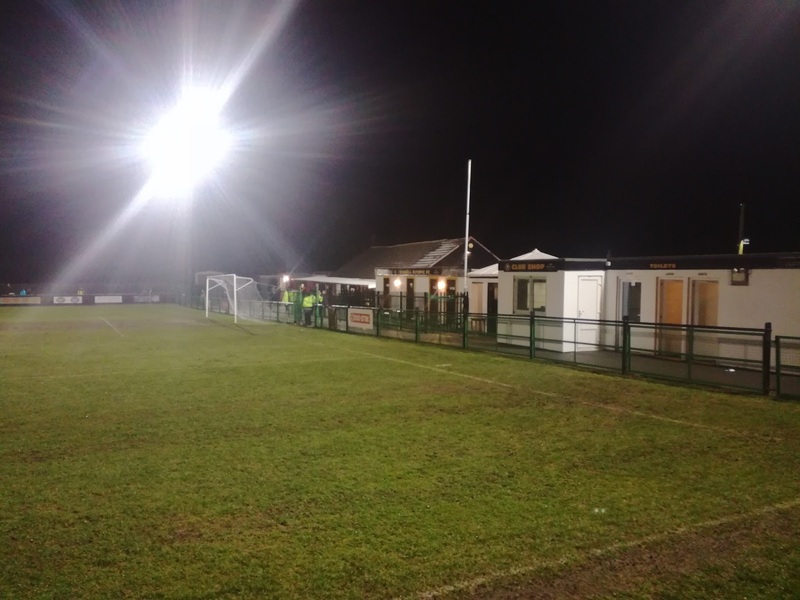 When I first went they had a small stand on one side (bedecked with Talbot Cars advertisements), and other than the clubhouse and changing rooms behind the goal, that was pretty much it. 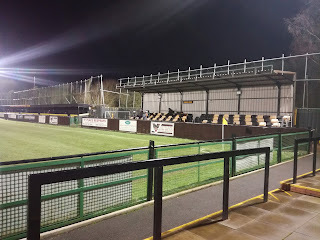 Now they have an area of covered terrace behind the railway end goal, and on either side are two additional seated stands bedecked in orange and black seats (they get me quite excited!). Down the canal side the ground has been fully enclosed and both press and hospitality areas have been built. A sprinkling of orange around the ground is without doubt the finishing touch, and in my opinion, Dales Lane is a very good venue for watching football, even if the pitch does have a slight side to side slope on it. They’ve spent six seasons prior to the current one in the Premier Division, with a highest finish of sixth and a lowest of twelfth. Having never finished below half way before, they do have something of a battle on their hands this time around, sitting inside the bottom six at the kick off. Freezing conditions and snow showers gave me a little bit of concern as I travelled down, with Sutton Coldfield Town as the plastic back up in the area, but having been directed into my parking space at the ground (excellent value for a pound) and gone through the turnstiles, it was clear there were no concerns. A modest crowd of 131 paid in (the lowest of the season) and was quite a bit under the average of 258, which in itself is a below half way number on the overall divisional table, but certainly nowhere near the worst in the league. It was a grim night though, you could forgive some for staying away. 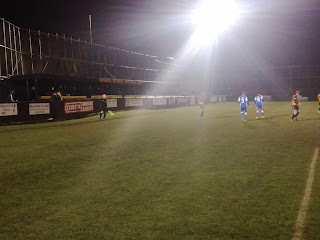 What they saw was a very polished first half performance from Rushall, with the evergreen and prolific Richard Brodie netting twice, while on the right hand side Danny Waldron was using his pace to great effect. Lancaster, as much as they tried to get a foothold in the game, found Rushall’s pace and movement continued to keep them on the back foot and the Dolly Blues were unable to gain any sort of momentum going forward. 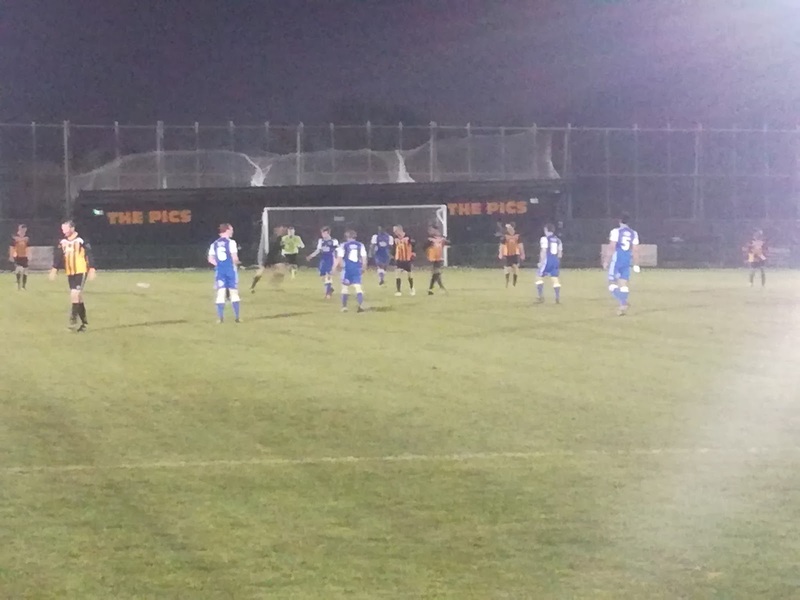 It was a different story for the opening period of the second half whereby Lancaster took the game to Rushall, but without creating any clear cut chances of note. It came as no surprise then that substitute Lewis Archer broke free in the closing stages and slotted the ball home to round off a comprehensive and deserved victory, on the back of what I thought was an excellent display. Another very enjoyable evening at a great club, run by very friendly and enthusiastic people. Did someone once say something about the future, with it being very bright and a particular colour? It escapes me now, but I’m sure it’ll come back to me…….